Recycla-Bull Terrier Rescue is a nonprofit organization with the goal of providing the highest quality of care for bull terriers in need and ensuring they are placed in loving, responsible homes. ​We are a foster based rescue. All of our bull terriers are evaluated in a home environment to determine their individual needs and prepare them for adoption. We receive no government funding and rely solely on the generosity of individual donors to support our efforts. We have transport available to place dogs along the East Coast and Midwest. All of our adoptable Bull Terriers are restored to health, spayed/neutered and fully vetted before joining a family. Their needs are our first priority when evaluating possible foster or adoptive homes. Some rescued bull terriers need to be the only pet or in homes without young children; they may or may not be dog and/or cat friendly. ​After adoption Recycla-Bull Terrier Rescue likes to keep in touch. ​We will support our adoptive families with training, health advice and other info upon request. 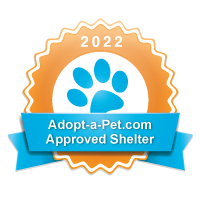 Look for us on Petfinder! Check out the videos of our available and adopted bull terriers on the YouTube. ​Also, our Facebook page has many videos of bull terriers. Follow us!